Deep sea fishing draws visitors from around the world to our little town. They come to hunt down the fast and furious fish of Stuart: the best in sailfish fishing, sleek blue marlin, speedy wahoo, the biggest yellowfin tuna and other catches are part of the bounty of deep sea fishing in Stuart! Stuart FL is the gem of the Treasure Coast! Often cited as one of the best small towns in the USA to visit, it has a rich history featuring pirates and merchant ships full of treasure. The nautical narratives stretch from the wildlife refuges of the inshore ecosystems to the wild, blue ocean where sailfish thrive. 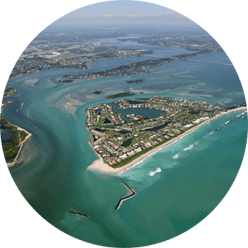 Stuart is nestled between the St. Lucie River and aquatic preserves connected to the Indian River Lagoon, the most bio-diverse estuary in the Northern hemisphere. 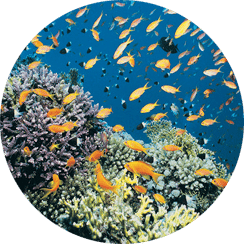 It is a bounty of aquatic and water-loving wildlife. It’s also home to some of the best deep sea fishing in the world. 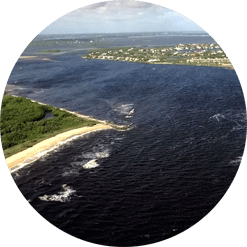 The extraordinarily important ecosystems feed into – and are fed by – the Atlantic Ocean around Stuart. It is here that the sailfish are found in greater numbers than just about anywhere else in the world, and why Stuart Florida fishing charters are your best bet for a thrilling experience with deep sea fishing. Book your Stuart Fishing Charter today! Reserve your fishing trip today before they are sold out!